All good so far, no punctures and definitely helped shave some weight off the wheels. Recommended. The easiest way to save 100g on your bike's weight. Do not lose pressure like latex tubes, half way easy to mount. No brainer. The lightest tubes I've come across. By keeping rim mass low, you create a wheel that accelerates more quickly. Tubes are too often overlooked. Also reduces overall bike weight. And reduces total rider+bike weight if you carry one as a spare. A bit expensive but Merlin's price is the best I've found. I have not experienced many punctures with them (punctures are usually down to the tyres. Finally, they don't seem to leak like some latex tubes I've tried. Very light and does what it says on the packet. Just be careful installing them as they are a bit more delicate than a standard tube. 4 sets I have bought of these. 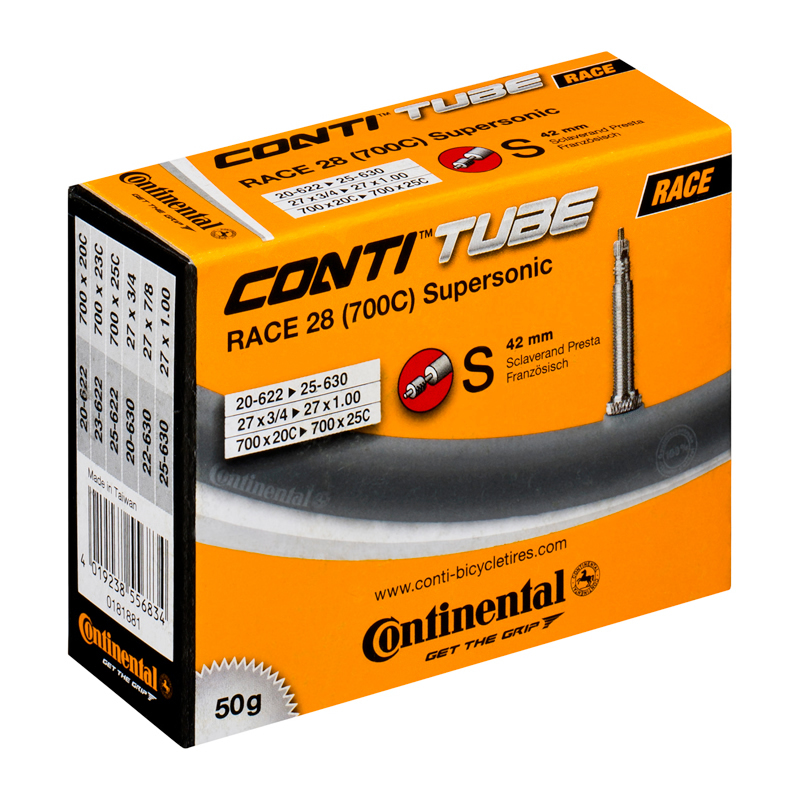 Super lightweight but are as easy to install as standard continental tubes and don't seem to be more susceptible to punctures. Superlight! Easier to fit than I thought and definitely easier than latex. This tube rolled up is extremely small and could be perfect for carrying on your bike with a patch kit as a backup. I haven't used it yet so can't comment as to its effectiveness. You will be surprised at how tiny they are. After my order, it came to istanbul - turkey in six days. Incredibly light, very thin and very small packed size. You need to behave carefully while placing. I advice to do it at home. It's not suitable for bad roads. Weight weenies dream.... fitters nightmare. These are so thin, great care needed when fitting but they are worth the hassle. Worked faultless on my Fulcrum 3 with Ultremo ZLX tyres, for an ultimate light weight set up. Super light but hard to put in. Must apply some powder on inner tube and also inside the tyre as well. Otherwise it may stuck between tyre and rim and probably puncture. Definitely recommend it, if you have got no-name inner tubes, and using moderate puncture resistant tyres. Much lighter than a standard tube and more reliable than latex. They don't leak and go down while not in use. Can't rate durability yet as they have not been in long. Fragile but if you prefer clinchers these are great. Just be patient fitting them. You really notice the drop in rolling resistance.